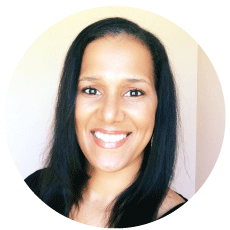 IF YOU ARE LOOKING FOR THE SEASONS GIVING BLOG HOP click the link. Good morning everyone. 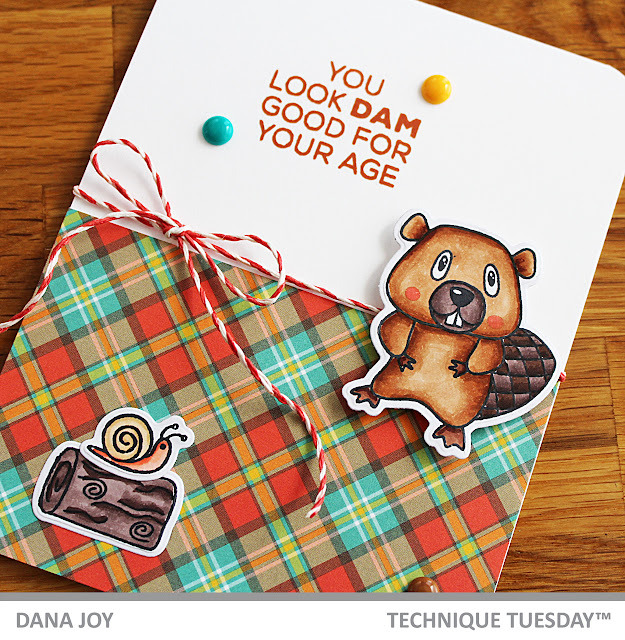 Today is Technique Tuesday January 2019 release blog hop. I’m super excited to share my project with you today. We have some amazing projects from the design team for this release. So let’s jump right into it shall we? 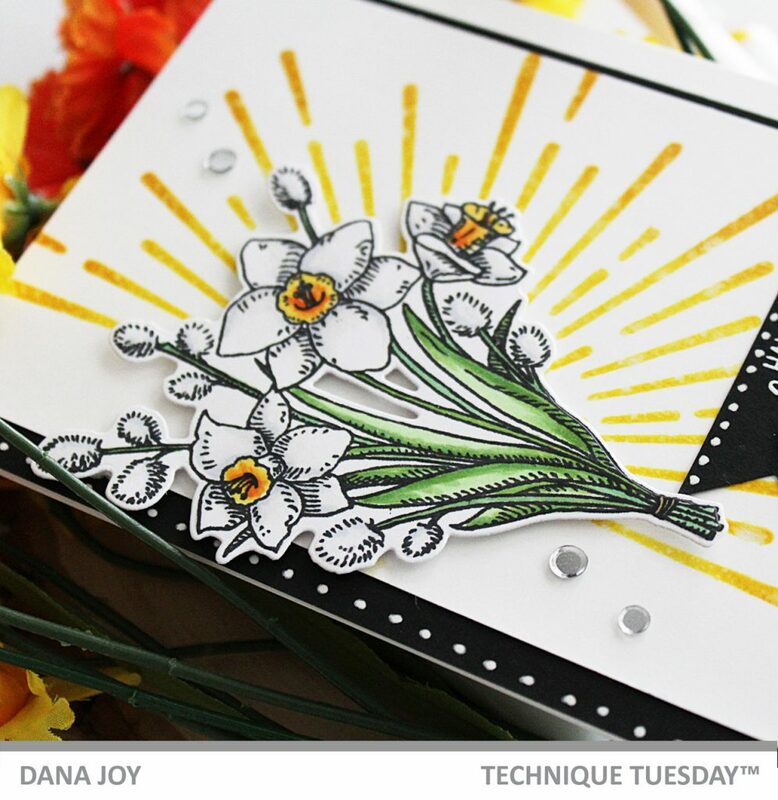 For my project toady I used the Narcissus stamp set and coordinating crafting dies. 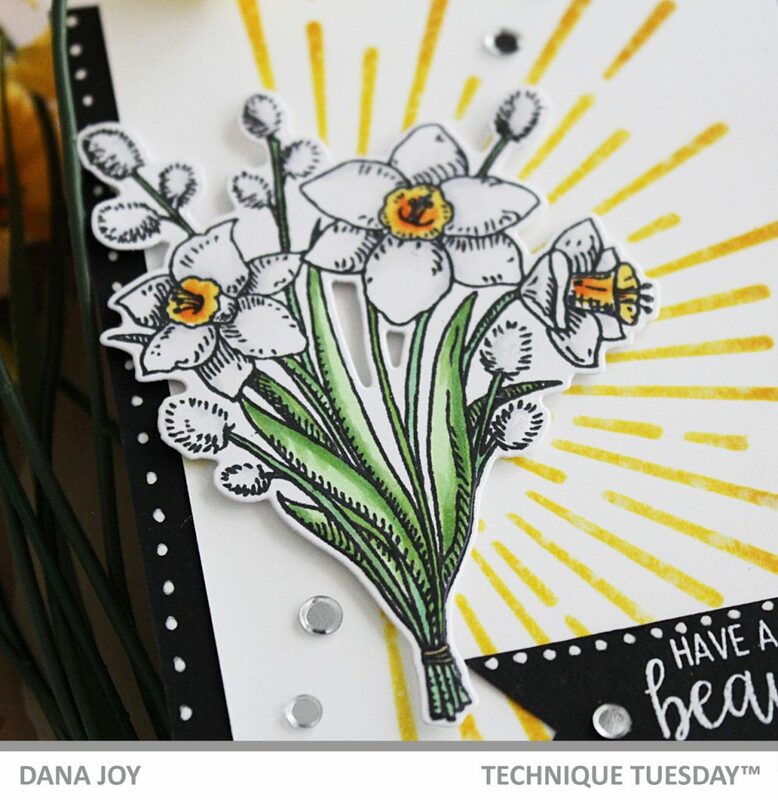 I LOVE coloring simple floral images and this one is perfect for color pencils, watercolors or alcohol markers. I used various shades of cool grey, yellow and green markers for my image. Since these flowers are white with yellow centers I didn’t just want to leave them white without some color to it. That’s when a nice cool or neutral grey marker comes in handy. You can also use a very pale blue or violet to achieve a similar look. Next I stenciled on a yellow burst onto a piece of Neenah solar white 80 lb card stock and trimmed it down. I backed this piece with black cardstock to help it stand out. I stamped the sentiment onto a flag banner and heat embossed it in white. Adding some small dots using a white gelly roll pen added just a tad bit of texture to the panel. Lastly I popped my flower on some foam tape and added some silver sequin. This panel was added to a white card base. Now it’s time to hop around to see what the other design team members have for you today. 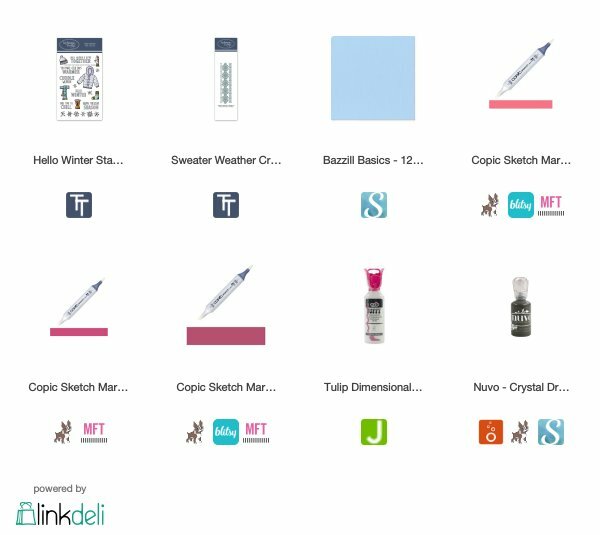 All products are available in the Technique Tuesday shop. Have a great day everyone. See you back here soon. Hey peeps. We made it to release day and I’m ever so excited to show you the cutest little beaver stamp set I have seen. Meet Beau from the Beau and Beatrice Beavers stamp set and coordinating crafting dies. 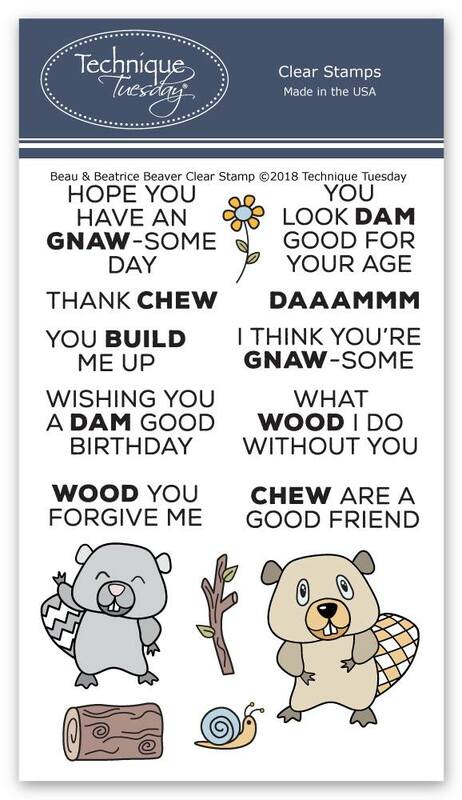 This stamp set has the cutest punny sentiments in it. I colored Beau with my Copic markers and matched him to this really cool pattern paper. BUT look at that sentiment.  How stinkin’ cute how it goes with this image. Now it’s time to shop. All products are live over at the Technique Tuesday store. Have fun shopping and I’ll see you back here soon. Hey peeps. 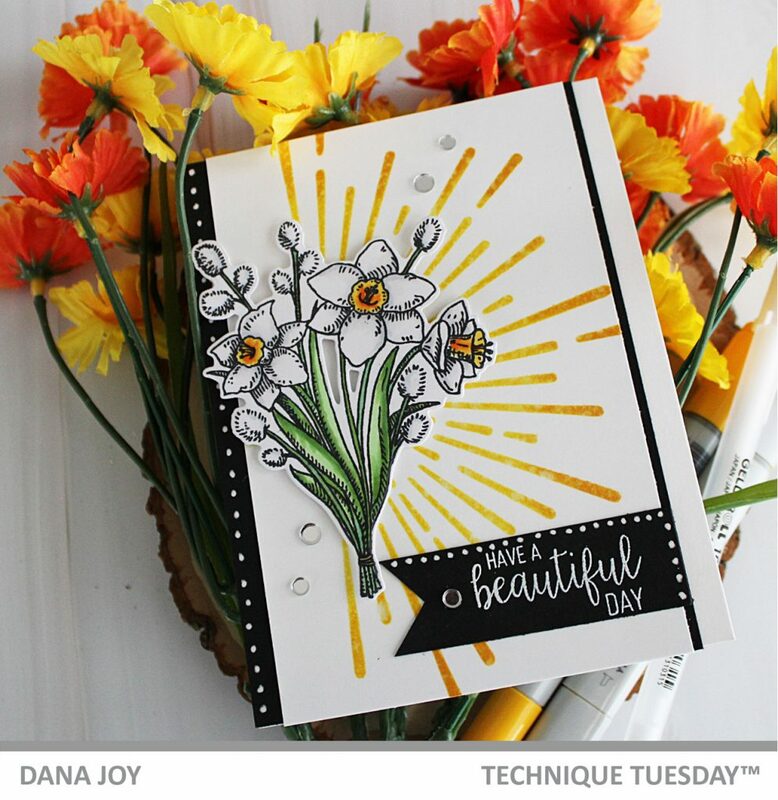 It’s Technique Tuesday sneak peek day 2. 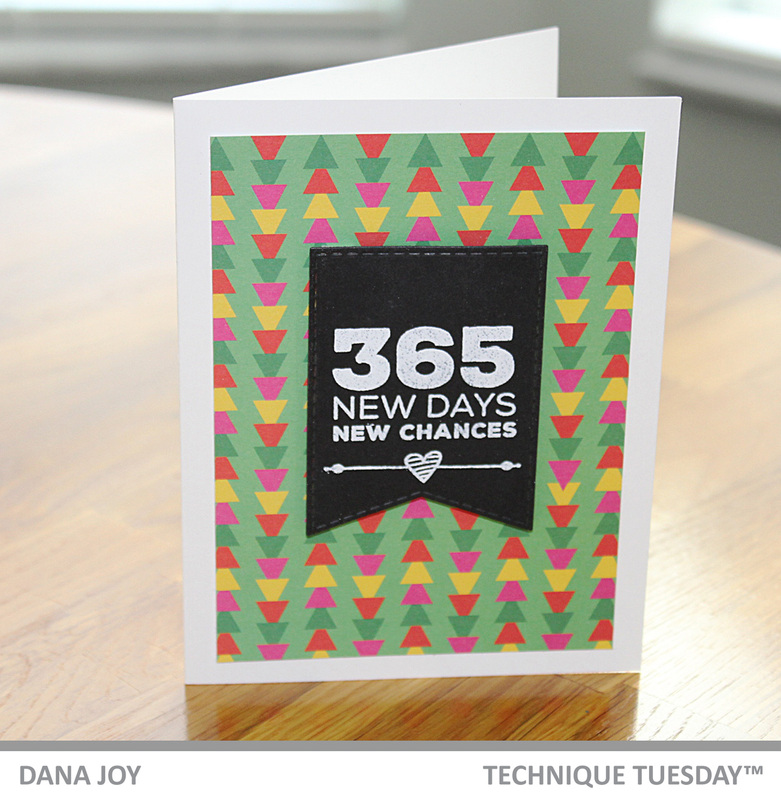 Today I’m sharing the 365 Days stamp set. This stamp set perfect for those inspirational cards for the new year. Perfectly paired up with designer paper or place them in your planners for those daily glance inspiration. I kept my card very clean and simple today. 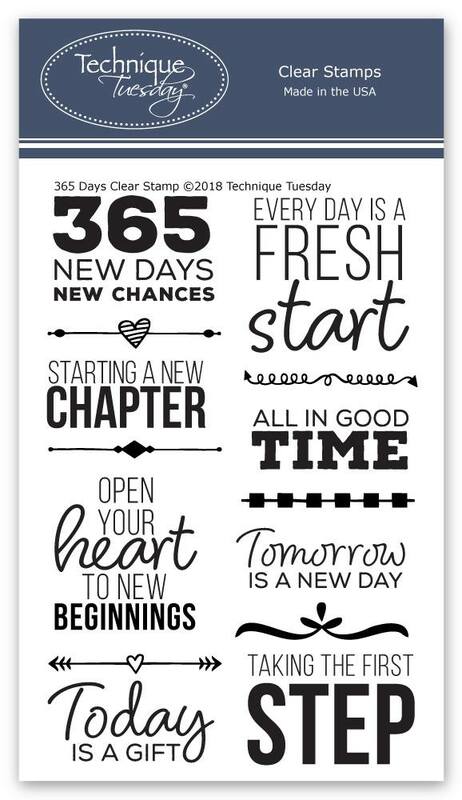 I stamped out one of the sentiments from the stamp set onto black cardstock and heat embossed with white embossing powder. 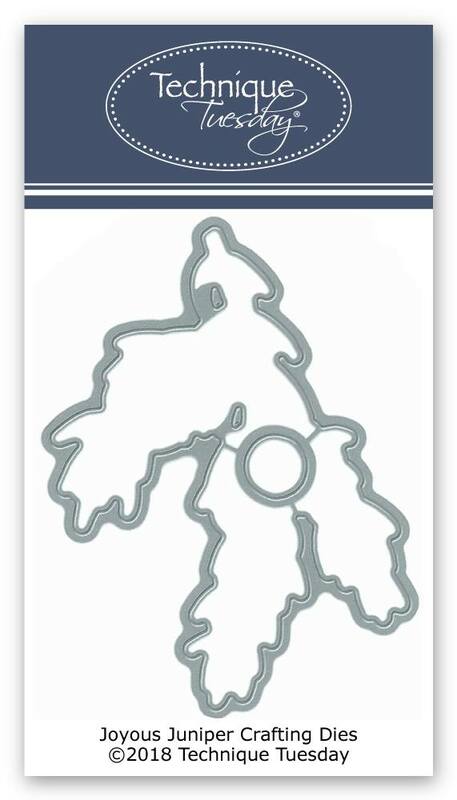 It really pops against this very graphic paper. Thanks for stopping by today. 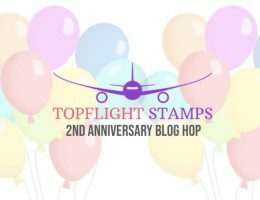 Come back tomorrow for the Technique Tuesday release day! Have a great day everyone. Hey peeps. 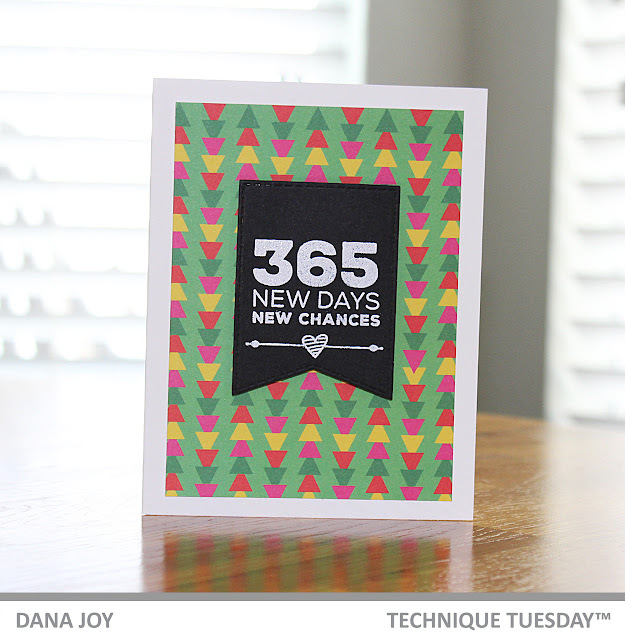 It’s Technique Tuesday sneak peek day 1. It’s the end of the month and it’s the build up to release day for Technique Tuesday. 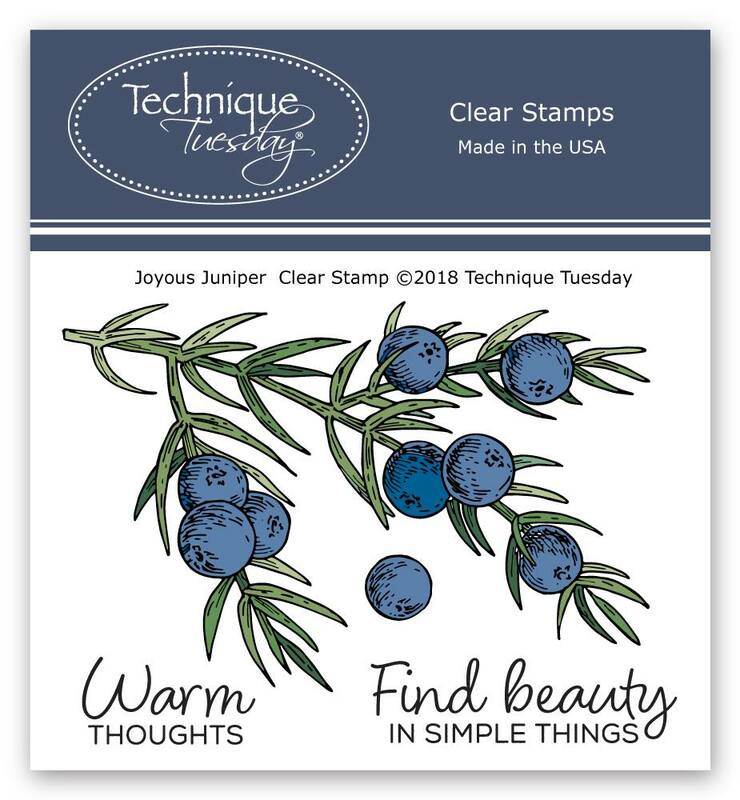 Today I’m sharing the Joyous Juniper stamp set and coordinating crafting dies. 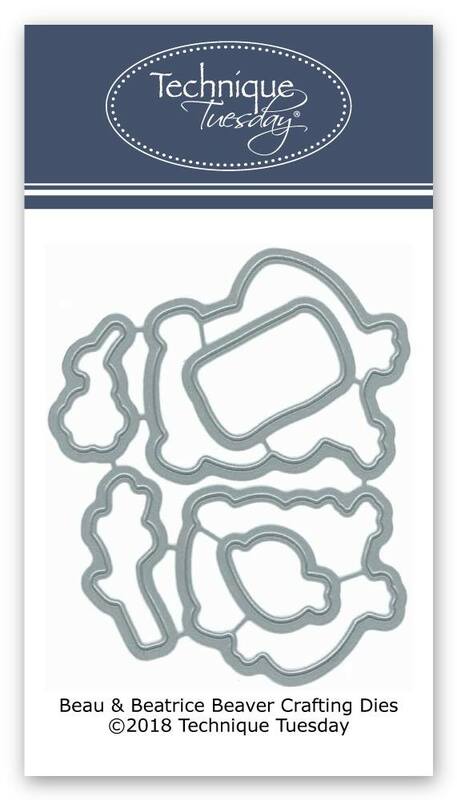 This stamp set perfect for those last minute holiday cards. 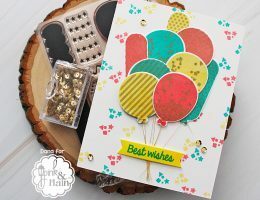 Such an easy stamp set to color and it really makes a statement. I stamped out the image three times and colored them with my Copic markers. 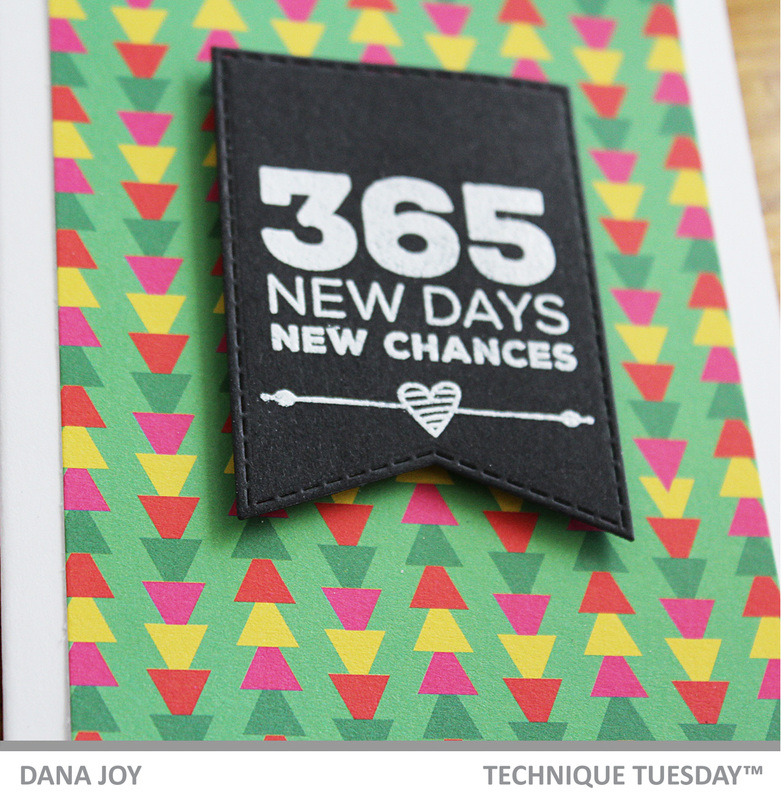 I used the coordinating die cut them out so I could overlap them on the bottom of my card. I ink blended this beautiful background for my junipers to sit on and splattered some white gouache onto to look like snow. I stamped the sentiment in versa mark and used black embossing powder to heat set it. Thanks for stopping by. I’ll see you back here tomorrow for sneak peek day 2. Have a great day everyone. Hey peeps. I’m participating in the 25 Days Of Christmas Tags this year and I’m super excited. I have seen some amazing tags and the inspiration is overwhelming (in a good way). WOW so many talented people in this crafty community. Today Technique Tuesday is the sponsor. 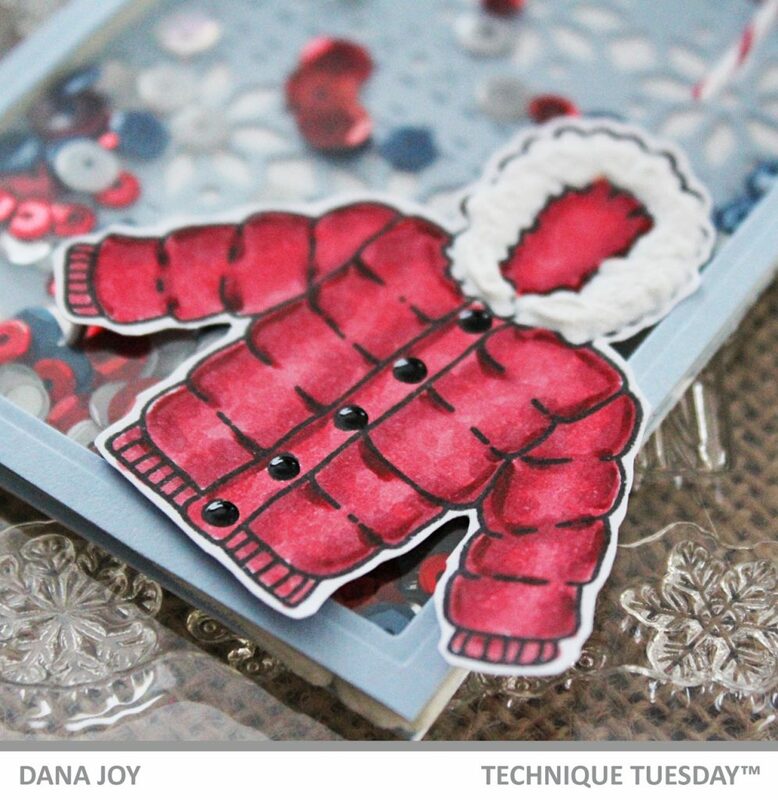 For my tag today I’m using the Technique Tuesday Hello Winter stamp set and the Sweater Weather crafting die cut. I love the cozy feeling of this shaker tag. I started off by cutting out the back of the tag and using the Sweater Weather crafting die to make a festive pattern on this piece. 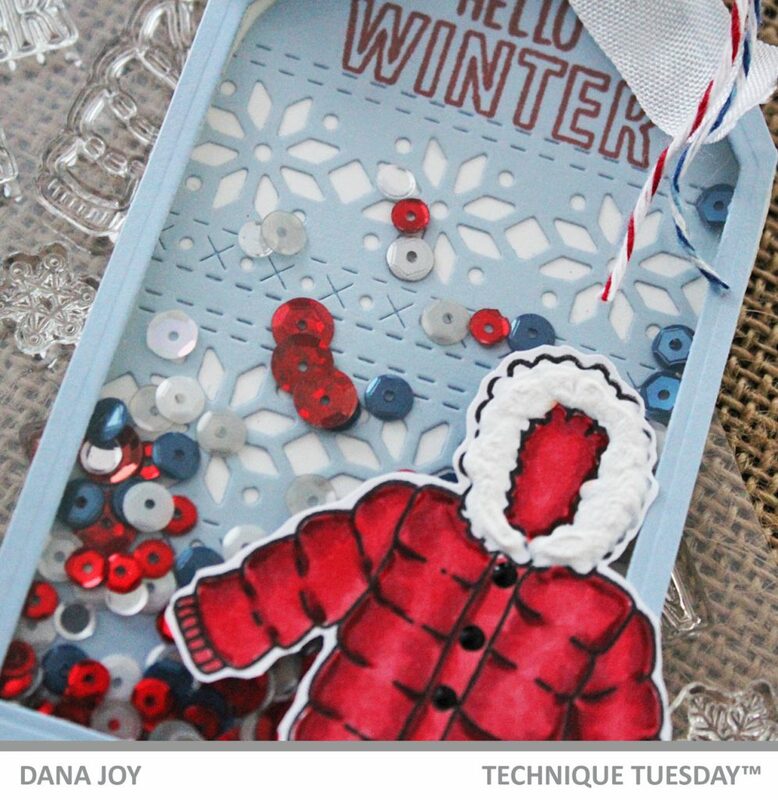 Next I stamped the Hello Winter sentiment from the Hello Winter stamp set at the top portion of the tag. I colored out my bomber jacket with Copic markers and used Tulip puffy paint for the fur around the hood. I used black Nuvo drops for the buttons. I die cut out the top portion of my tag to create a top for the shaker elements. 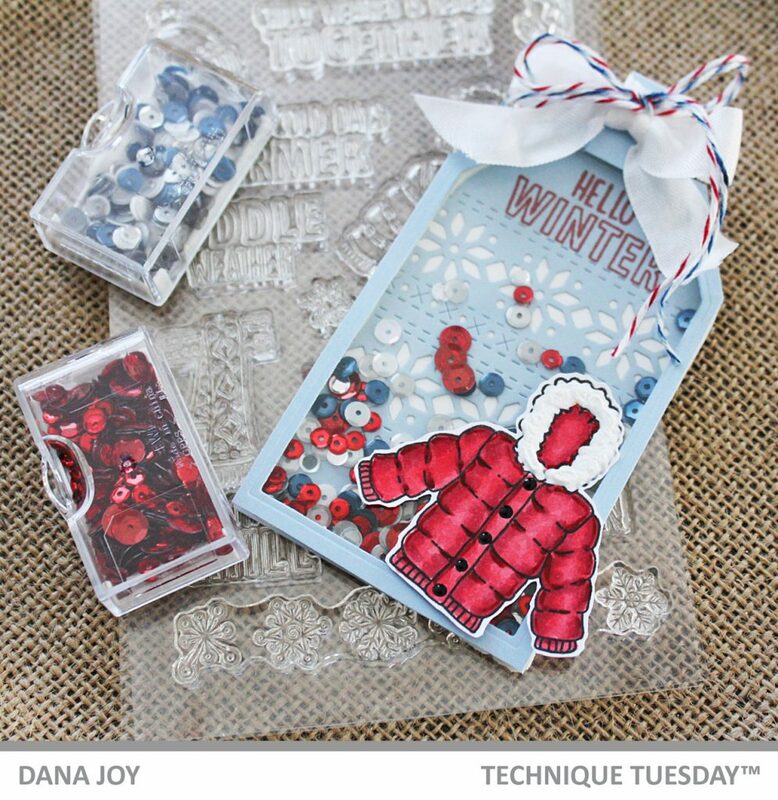 I filled the tag with red, blue, silver and white sequins to keep everything within the color hue I was using. I adhered down my top with double sided foam tape to give it some dimension. All that was left was to add a top piece for the ribbon and twine to go through and tie all the ribbon and twine into a few bows. I adhered my bomber jacket to the shaker tag with adhesive. Thanks for stopping by today. 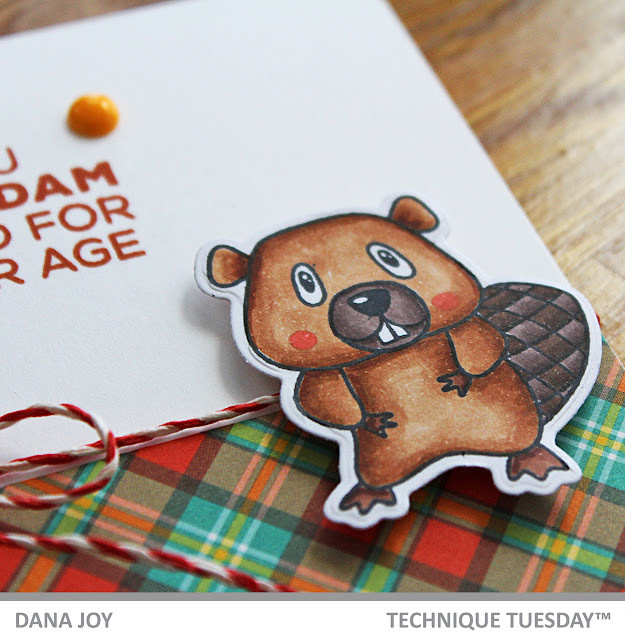 Make sure to swing by Tracey’s blog to see all the beautiful tags that were created for today.